Welcome to the first newsletter of 2019! This month has been filled with snow, the AMHA Convention, and more snow!! 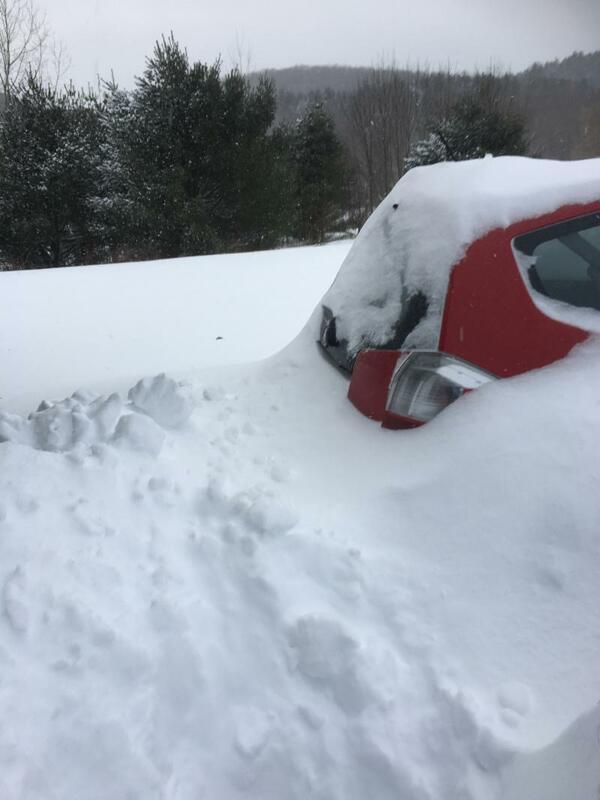 Look at my poor little car buried a couple of weekends ago! Now it is out, but more snow is in the forecast! I'm ready for spring! Our Convention begins next week and it is going to be so much fun! I hope to be able to meet some of you live and in person! If you are interested in joining us, there's still room! Go to 2019 AMHA Convention for all the details! It's now January, and time for club renewals! Here is the Club Renewal Application. If you aren't the correct person to fill this out, please pass along. Til next month, keep warm! AMHA offers 5 percent of the net from the annual AMHA/World Morgan Futurity Stallion Service Auction to financially challenged Morgan competitions. Grant requirements must be met and the maximum amount a show can receive is $1,000. Applications are currently being accepted and must be received by AMHA before January 31, 2019. To have your show considered for a 2019 Morgan Show Grant, download the application by clicking here. Is Your Gelding Competing as a "Stallion?" Is your Morgan gelding showing in the In-Hand division? Have you submitted a castration report with AMHA? In tabulating the 2018 AMHA Star Awards, it was discovered many horses are showing in the gelding division, yet they are still recorded with AMHA as a stallion. The castration of all animals must be recorded with AMHA. A. The castration of a registered horse shall be recorded with the Registry. A Castration Report including the date of castration, registered name, registration number, and signature of the recorded owner must be submitted. B. The original Registration Certificate must be sent to the Registry and will be returned indicating the alteration and date of castration. Click here for a castration report. For more information, contact the AMHA Registry department at (802) 985-4944, registry@morganhorse.com. 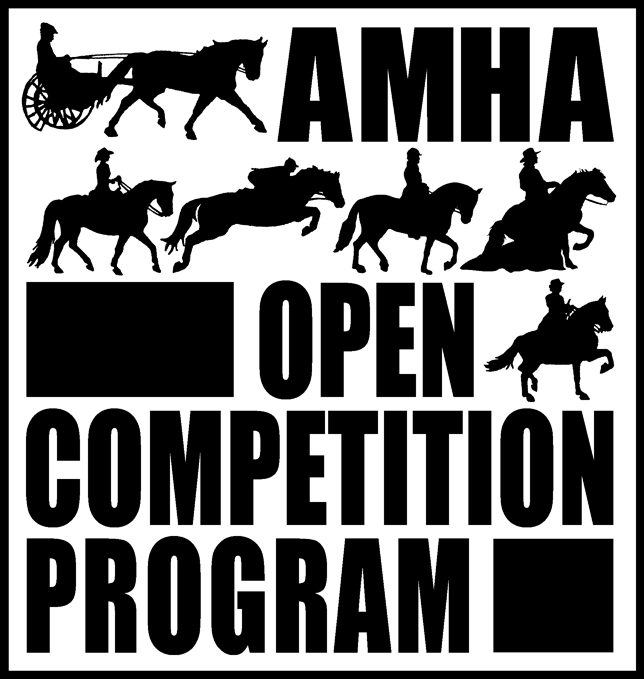 Guidelines for AMHA's Open Competition Program for the 2019 season are now available and can be found here. For more information on this program, contact Kristen Kelly at (802) 985-4944 ext. 401 or kristen@morganhorse.com. The Museum Director position was eliminated from the NMMH budget effective December 29, 2018. Therefore, the museum is temporarily closed to all research requests and other collections/archives questions while we transition through a restructuring period. Thank you for your patience and understanding during this adjustment. If you have questions or need assistance during this time, please AMHA at info@morganhorse.com. The Board of Directors for the Oklahoma Centennial Horse Show has made the difficult decision to not host a 2019 show. The decision was made in part due to decreasing numbers in participants/horses, financial contributions and dates that would consistently compete with out of state shows which made it no longer sustainable to continue in a manner that provided a high quality horse show for our participants. We have loved being a part of this show and want to thank all of you from the bottom of our hearts to those who have supported the show from its inception to now. If you have any questions you can contact us at okchorseshow@gmail.com. The Missouri Valley Morgan Horse Club will host its second Central Region Morgan Show on August 10-11, 2019, at the indoor Lancaster Event Center in Lincoln, Nebraska. The all-Morgan show is AMHA Star Rated and USEF Competition Lite and is proud to welcome Dwayne Knowles as judge for the weekend. 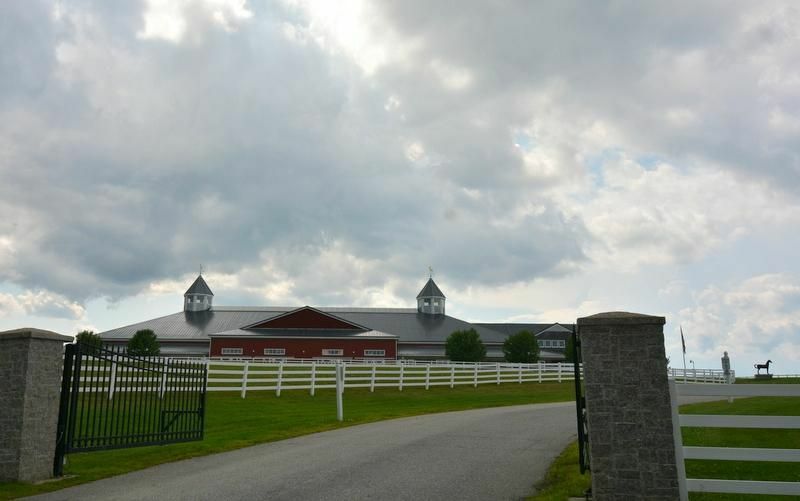 "We are looking forward to building on the success of our inaugural show last year and welcome all Morgan owners, trainers, and riders to the center of the country," says Jennifer Rawlinson, Volunteer Show Manager. New in 2019, all Morgan youth are invited to come a day early to compete in Friday’s AMHA Youth of the Year Contest.And for more family fun, the Lancaster County Super Fair Carnival (ferris wheel, funnel cakes, and much more!) will be open Friday and Saturday evenings. For more information, please send an e-mail to jcrawlinson@windstream.net or call/text 402-560-3319. Updates will be posted on the club websiteand on Facebook. US Equestrian honored four breed recipients of the 2018 Pegasus Awards on January 10. The awards are bestowed annually to equestrians for their service to the sport. 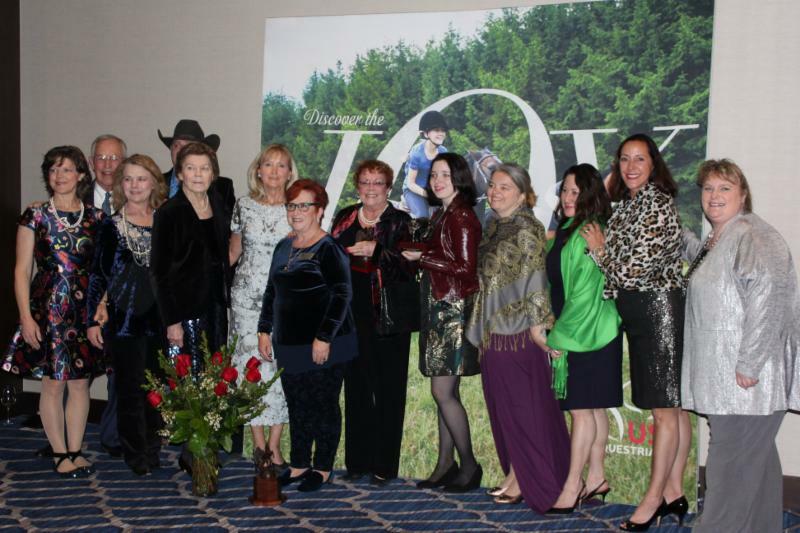 The award recipients and their families and friends were joined by AMHA President Mari Sanderson and AMHA Executive Carrie Mortensen for this special occasion. 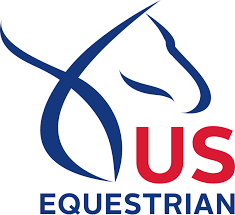 US Equestrian has announced the selection of the 2019 U.S. Saddle Seat Young Riders Stripes and Stars Teams. The Stripes Team will compete at the 2019 U.S. Saddle Seat Invitational Test Event from May 2-3, in New Orleans, Louisiana, against teams from South Africa. The Stars Team will compete at the 2019 U.S. Saddle Seat Invitational Test Event from October 31 - November 2, in Las Vegas, Nevada, against Canada. Following an incredible number of applications received from saddle seat breed members around the country, three Morgan athletes have been selected to the U.S. Saddle Seat Young Riders Stripes and Stars Teams. US Equestrian formed the U.S. Saddle Seat Young Riders Teams with the purpose of developing riders for future Saddle Seat World Cup competitions. During years that the Saddle Seat World Cup competition is not held, members of the Young Riders teams will be eligible to represent the United States in other international competitions. Unlike the selection process for the U.S. Saddle Seat World Cup Team, riders did not attend live tryouts to be selected. Instead, the selection of riders was based on application and video submissions. The U.S. Saddle Seat Young Riders Teams are supported by grants from the USA Equestrian Trust. Additional contribution opportunities can be found by visiting www.usef.org/donate. Select U.S. Saddle Seat Young Riders in the dropdown menu. For additional information or questions regarding the 2019 U.S. Saddle Seat Young Riders Teams, please visit www.usasaddleseatworldcup.org or contact Erin DesNoyers, Director National Affiliates, by phone at (859) 225-6977 or via email at edesnoyers@usef.org. Copyright © 2019 American Morgan Horse Association. All Rights Reserved.